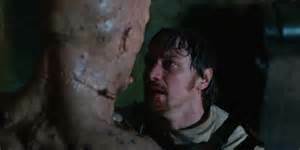 This is a British/American Action Horror adapted from 1818 novel called FRANKENSTEIN. When the experiments of radical scientist Victor Frankenstein go too far, only Igor Strausman, his equally brilliant protégé, can bring him back from the brink of madness. I have watched movies that are picked from novels and it doesn’t turn out well as expected. 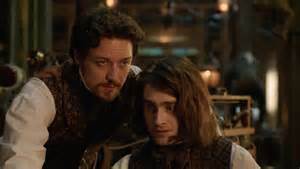 But when i saw James McAvoy playing the role of Victor Frankenstein, i knew this is going to be a good one because he did so good in the The Last King Of Scotland and Daniel Radcliffe is also good. This entry was posted in Action, Africa, American Movies, Being, Biblophile, Blog, Blogging, Book Review, Books, Britain, Canada, China, Chinese Movies, Crime, Crime - Thriller, Detective, Drama, Dumsor, Entertainment, Europe, Family, Feature, Film, Follow, Found, France, Friends, General, Ghana, Home, Hong Kong, Horror, India, Joy, Korea, Life, Mexico, Movies, Mystery, New Release, New Zealand, Nigeria, Norway, Other People, People, Personal, Random, Reader, Review, Reviews, Russia, Singapore, Spain, Suspense, Suspense - Thriller, Thoughts, Thriller, Timeline, USA, Vancouver, West Africa, Western, Wordpress, World, Writing/Blogging and tagged Action, Drama, Horror, Movie Recommendation, Movies, Wordpress, World. Bookmark the permalink.